Summer is flying by and you’re probably already hearing the words, “I’m bored.” As a mom of pre-teens and teens it’s easy to give in to electric devises to entertain kids. It’s harder to come up with creative ways for them to spend long summer days. Here are 86 of them! Download the printable below for the full list of activities! Thank you, Tricia Goyer! I found your awesome website and this handy printable via Pinterest. The summer is coming and I want to be ready. I also think this is useful all-year-round. Love this list! My kids are always saying they are bored, lol. As a teen, I can say for sure that these activities are not very suitible for teens. Pre-teens, maybe, it depends on the kid. 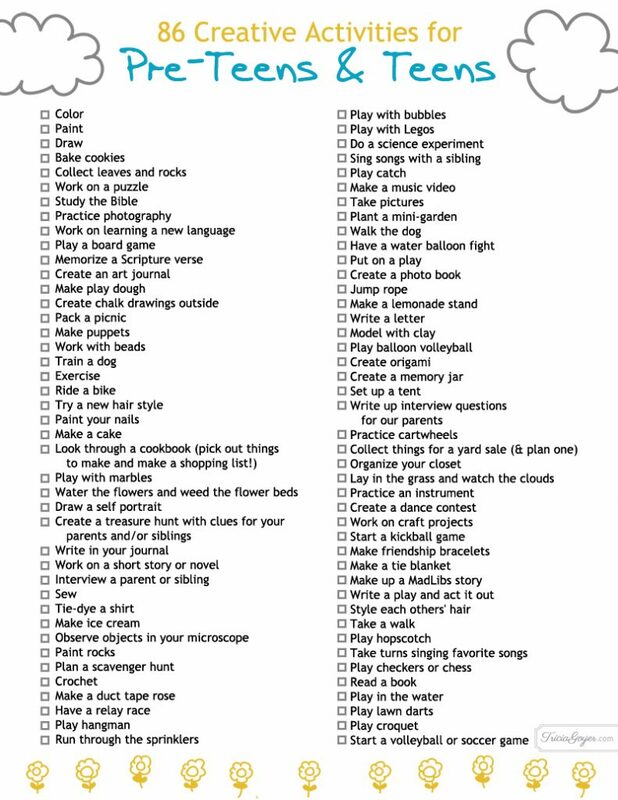 If you have an elementary kid however, this would probably be a great list. Honestly, no kid above the age of 11 is interested in playing with bubbles or studying the Bible. My kids do, but I know every teen is different. Thank you for commenting! Yeah lots of kids do it depends on the person, I do! Great ideas! 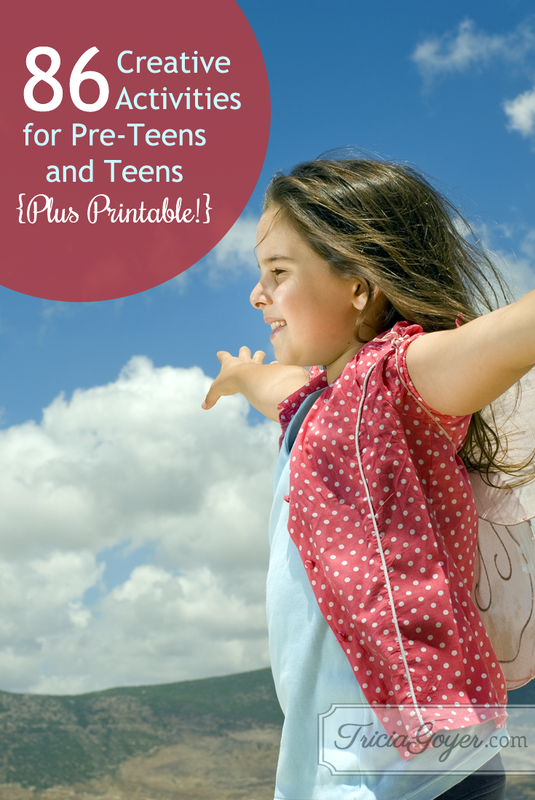 I SO needed this for my pre- teens! This will add to a great summer! Thank you!